Stephen P. Pfeiffer recently received advanced level training, from the American Association of Premier DUI Attorneys, on how to use fatigue and drowsiness to fight DUI cases. Stephen received training on the how drivers arrested and prosecuted for being under the influence of alcohol and/or CNS Depressants can easily be misdiagnosed and wrongfully arrested for DUI when they were simply fatigued or drowsy at the time of the incident. The information in this training was provided by Adam Pollack. Mr. Pollack is an AAPDA Executive Member of the Association. Mr. Pollack’s office is located in Orlando, FL and his website is http://orl-law.com/. Stephen P. Pfeiffer is known locally as the “Go-To-DUI and Criminal Defense Attorney.” Stephen is a partner at Wolcott Rivers Gates, one of the oldest and largest law firms in Virginia Beach. Stephen has been published as a coauthor in the in the nationally recognized “Inside the Minds” series by Aspatore Books on ­The Legality of Search and Seizure in DUI Cases “A Practitioner’s Everyday Insight Into DWI/DUI Defense in Virginia”. Stephen has an AV® Preeminent Rating – the highest rating available from Martindale-Hubbell, the leading independent attorney rating entity. An AV® Rating signifies that the lawyer has reached the heights of professional excellence. Stephen was selected as a member of the National College of DUI Defense Attorneys and has been recognized as one of the top 100 DUI attorneys in Virginia by the National Advocacy for DUI Defense. 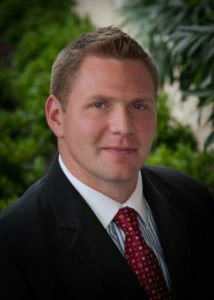 Additionally, Stephen is consistently recognized as one of Virginia’s Legal Elite by Virginia Business Magazine as well as being selected as a “Rising Star” by Virginia Super Lawyers. Recently Stephen was selected as Top 40 Under 40 Criminal Defense Lawyers for Virginia by the American Society of Legal Advocates. Additionally, Stephen is a founding member of the American Association of Premier DUI Attorneys. Stephen was the American Bar Association’s 2007 National Champion in Legal Negotiations and serves as an adjunct professor at Regent University School of Law.